Description: These trailers are designed for the trained fire instructor to use for setting up and delivering the field driving course. They include cones and other lane marking pylons. 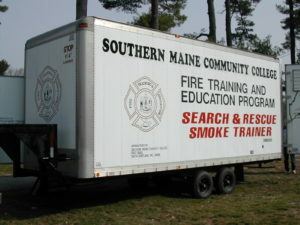 The trailer materials work in conjunction with the VFIS (Volunteer Fire Insurance Service) Emergency Vehicle Operators Course. You must hold MFSI/VFIS Train-the-Trainer certification in order to deliver the program and submit for certification. MFSI Instructor Required: No, permitting you or someone within your organization holds a current MFSI/VFIS Train-the-Trainer certification. Description: These trailers are designed to support the delivery of Hazardous Materials response training at the OPERATIONS level. They contain equipment designed for TRAINING only, such as: suits, boots, gloves, helmets, leak control equipment (plastic, sandbags, shovels, pipes), decontamination equipment (technical, mass, and emergency) and support equipment for vapor suppression and dispersion. These trailers also contain up to date ERG reference materials (enough for a class of 20). 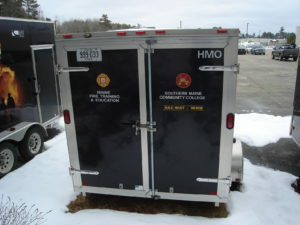 Description: A multi-faceted training tool enclosed in one large trailer, the SCBA Air Management Trailer is a training prop like no other, allowing for “just the basics” for newer SCBA firefighters, to more advanced operations such as entanglement and “weak floor” operations. 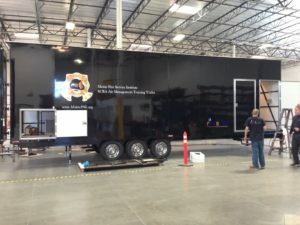 This state-of-the-art mobile SCBA training unit is equipped with adjustable floorplans, interior lighting, smoke machine, and a “rapid ventilation” system to clear the atmosphere within seconds. 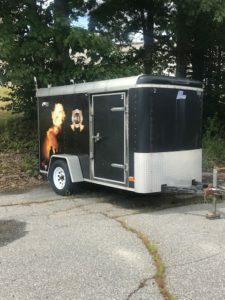 Description: This three tiered mobile SCBA Maze training trailer has adjustable steel screen walls to provide for SCBA training to your newest firefighters, and then configured to challenge the most seasoned SCBA qualified personnel. Easy access to all levels via 2 separate doorways allow for safe, efficient training operations with or without artificial smoke (smoke machine is available – please note on your request if you would like one to use). Gain new skills and confidence, or challenge yourself and your staff with the simple basics of the white SCBA Maze Trailer.